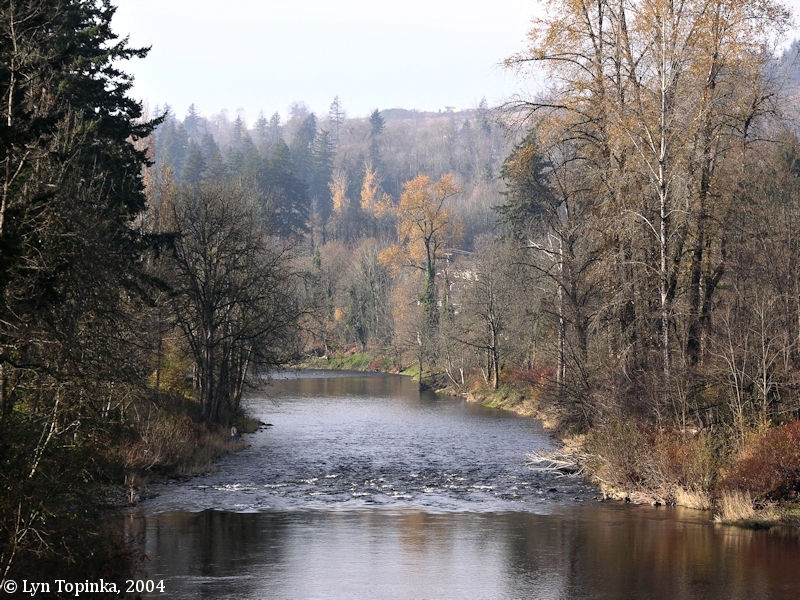 Click image to enlarge Washougal River, Washougal, Washington. View from Washougal River Road looking downstream. Image taken November 21, 2004. 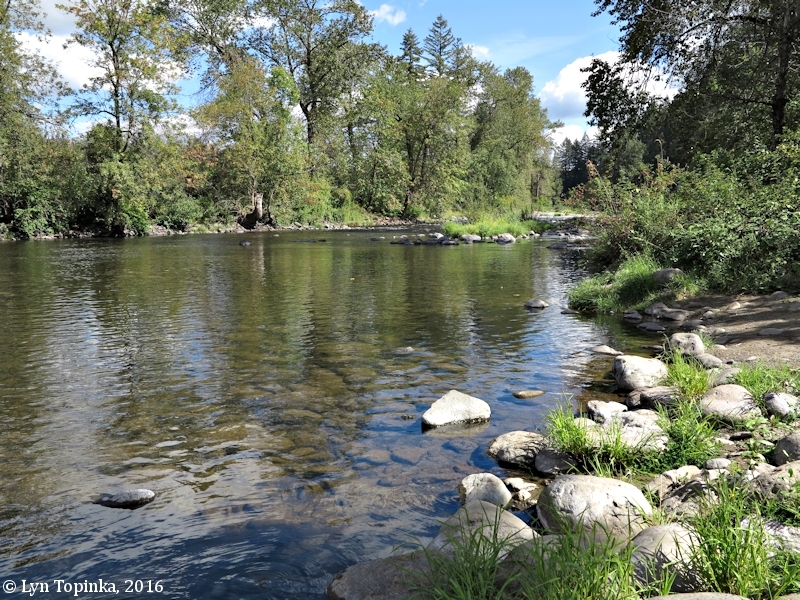 The Washougal River lies downstream of the Washington communities of Camas and Washougal and joins the Columbia River at River Mile (RM) 121, with its mouth hidden behind Lady Island. 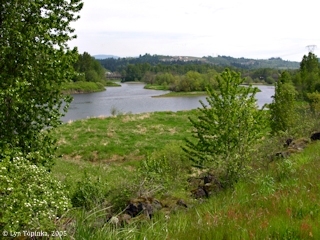 Camas and Washougal are located on the floodplain of the the Washougal River. Before the introduction of railways crossing the river, the mouth of the Washougal River was an important steamboat stop called Parker's Landing. Another landing, Steamboat Landing, lies a few miles upstream, and Fishers Landing lies downstream. According to the Clark County Shoreline Inventory & Characterization Report (Washington Department of Ecology, 2010), the 33-mile-long Washougal River heads in Gifford Pinchot National Forest in Skamania County and flows southwest through Skamania County and Clark County, joining the Columbia River at the community of Camas. The basin drains 212 square miles. 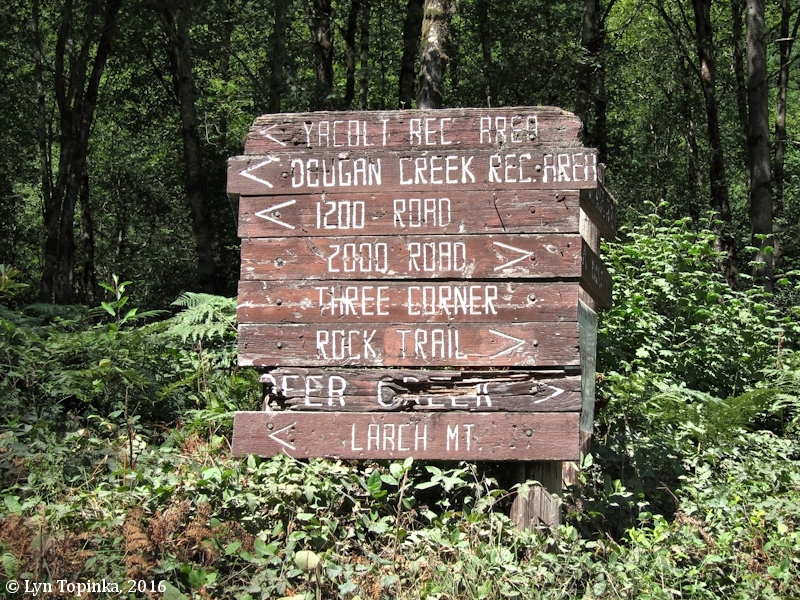 Major tributaries include Lacamas Creek, the Little Washougal River, Canyon Creek, West Fork (North Fork) Washougal River, Dougan Creek, and Cougar Creek. 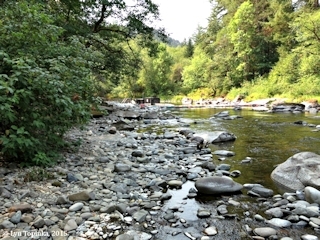 Lacamas Creek joins the Washougal River about 0.5 miles upstream of the confluence with the Columbia River and the Little Washougal River joins the mainstem Washougal River at about River Mile (RM) 5.6. 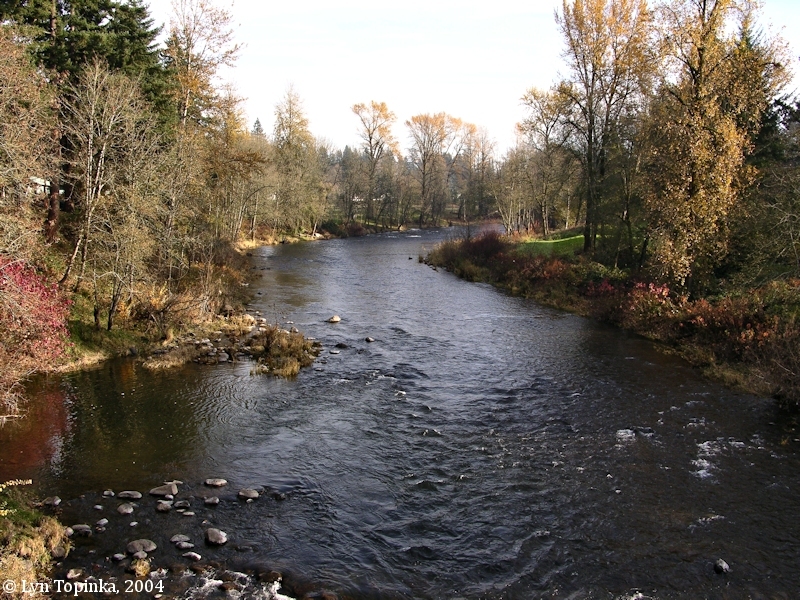 Captain Clark's journal entry for November 3, 1805, refers to the Washougal River as "a Large Creek". 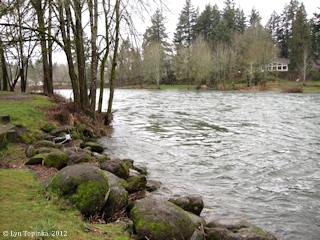 Clark was writing about the Sandy River, on the Oregon side of the Columbia, at the time. The "Small prarie" is today's Cottonwood Beach, a spot Lewis and Clark spent six days on their return in 1806. During the winter months the "Creek" acquired the name of "Seal River", after the Harbor seals which were plentiful near its mouth. Captain Clark's summation during the winter of 1805-6, uses "Seal River", as does the route map [Moulton, vol.1, map #79]. The draft map [map#88] uses "Sea Calf River". 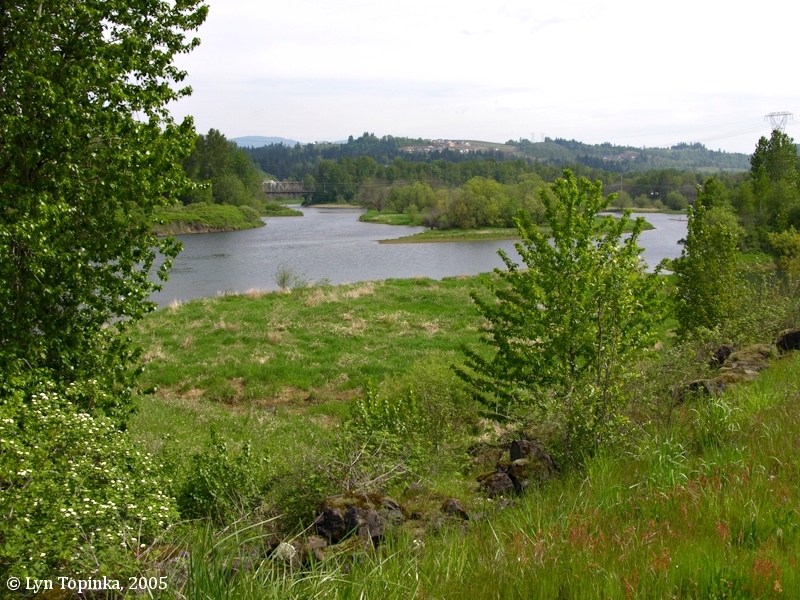 On the return journey Lewis and Clark's journal entries refer to the Washougal River as "Seal River". 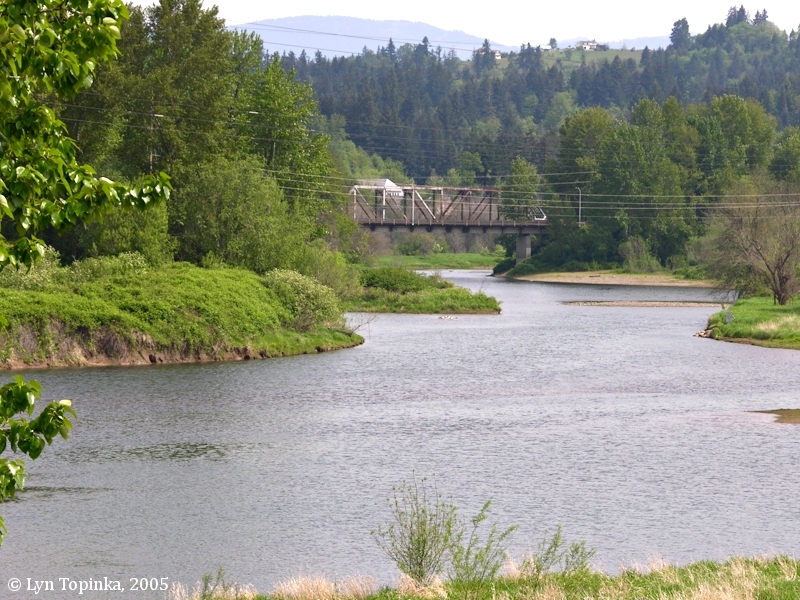 The two branches of the Washougal River are the Little Washougal (left branch) and the main stem Washougal River (right branch). 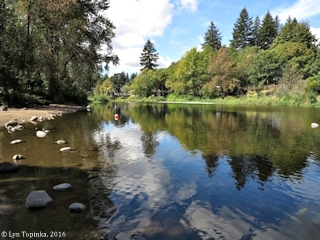 In 1805 and 1806 Lewis and Clark call the river "Seal River" (see above). 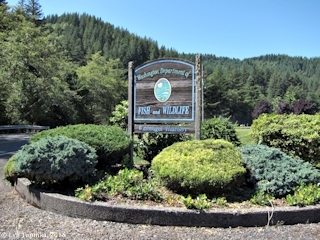 According to the Washington State Historical Society, the name Washougal first appeared in 1811 when three young explorers from Astoria made a trip upriver to the Cascades and camped at the Washougal River. One of them, Alexander Ross, wrote in his journal that they had passed Johnston's Island and stayed the night at "Washougally Camp". 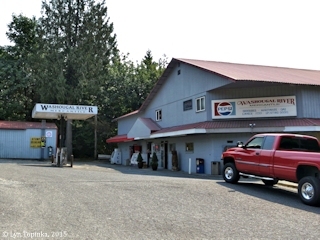 "Washougal" was an Indian word believed to mean small rocks or gravel. In 1841, Charles Wilkes, of the U.S. 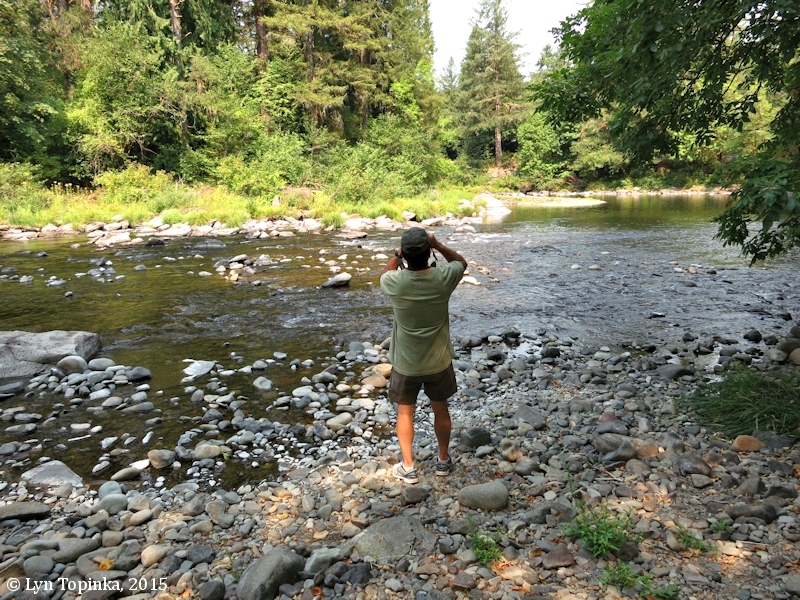 Exploring Expedition, used the name "Evarts Bay" for the mouth of the Washougal River. "Frost Island" is today's Lady Island. In 1843, J.C. Fremont, of the U.S. 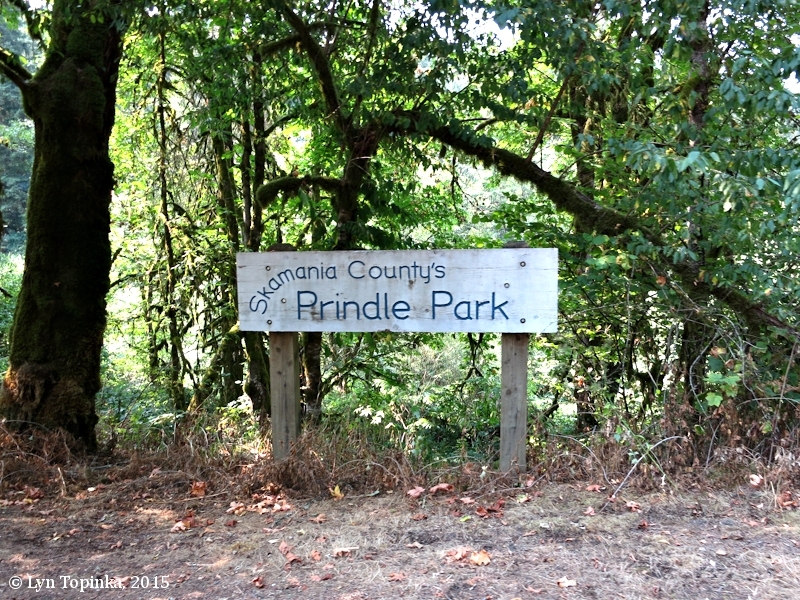 Exploring Expedition, used "Tea Prairie" for the lowlands of the Camas/Washougal to Steigerwald area, and he showed a river entering the Columbia just behind an unnamed island. 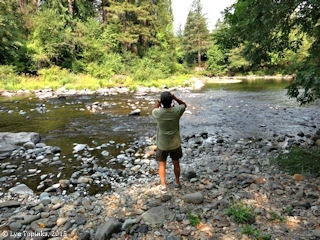 In his text he mentions "Tea Prairie river", presumably the Washougal River. The 1857 made by James Tilton, "Map of that part of Washington Territory lying west of the Cascade Mounts. : to accompany the report of Surveyor General", has the Washougal River labeled "Washookal Cr. 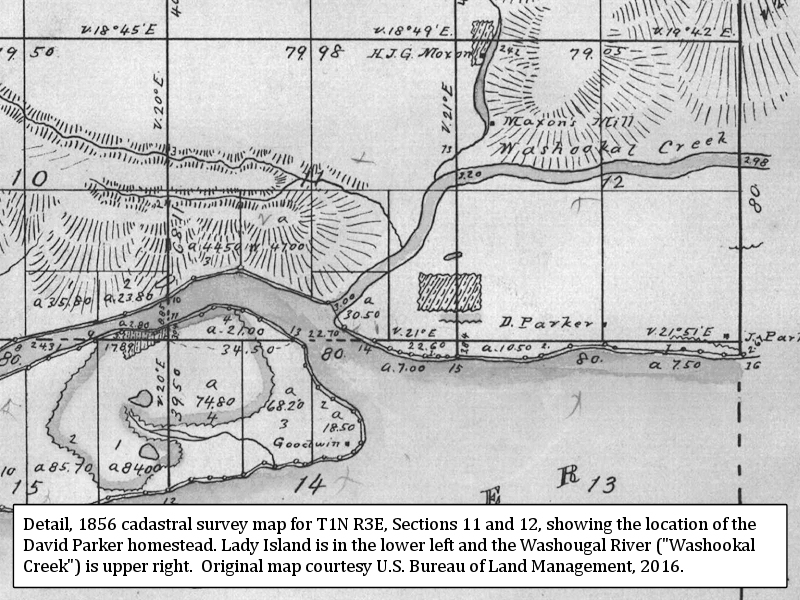 ", while a simliar 1861 map (also by James Tilton) has it labeled "Washookal R.". 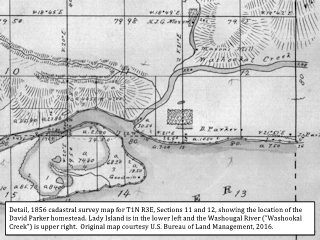 The 1865 "Map of public surveys in the Territory of Washington to accompany report of Surveyor General" (no creator given) has "Washougal R.". 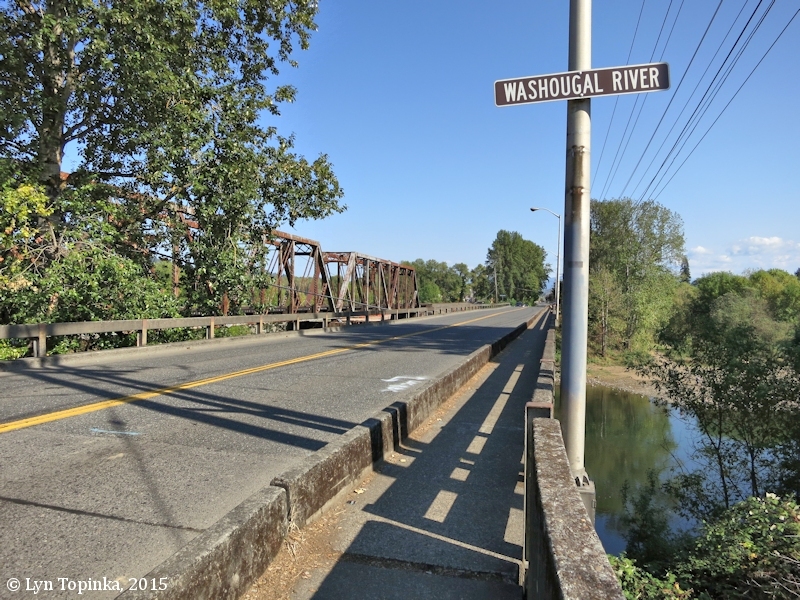 Another interpretation for the name "Washougal" is that it is an Anglicized version of the native word for "rushing water." 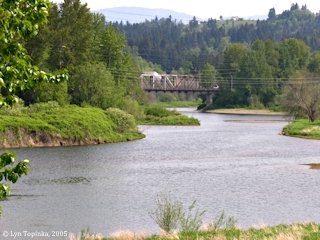 Click image to enlarge Mouth of the Washougal River as seen from Washington State Highway 14. Image taken May 1, 2005. 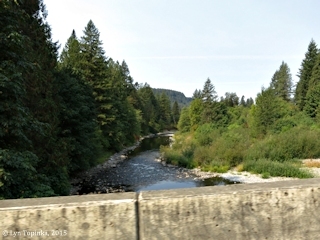 Click image to enlarge Washougal River as seen from Washington State Highway 14. Image taken May 1, 2005. 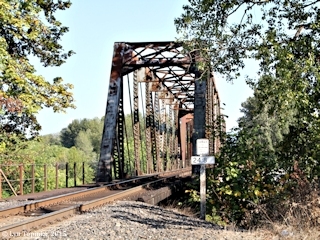 Click image to enlarge Looking east, BNSF Railroad Bridge 24.8, Washougal River. 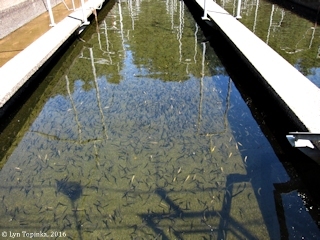 Image taken October 3, 2015. 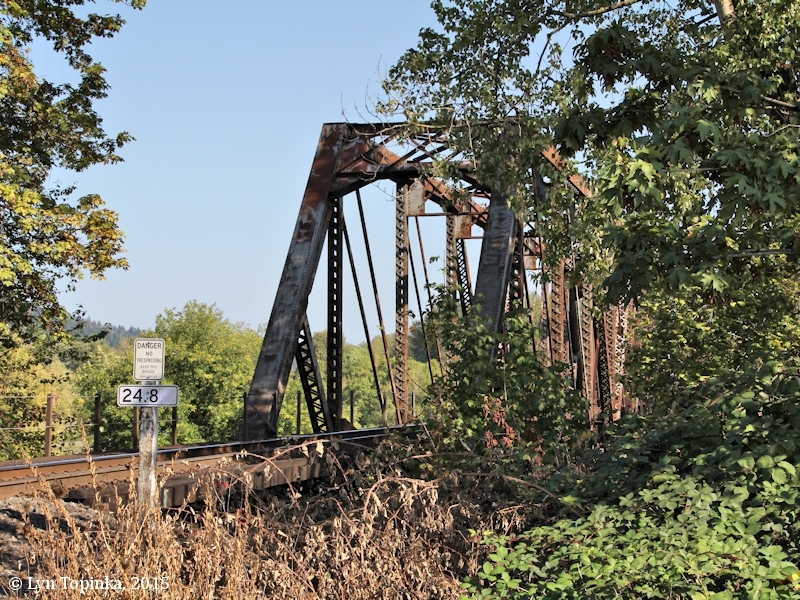 Click image to enlarge BNSF Railroad Bridge 24.8, Washougal River. Image taken October 3, 2015. 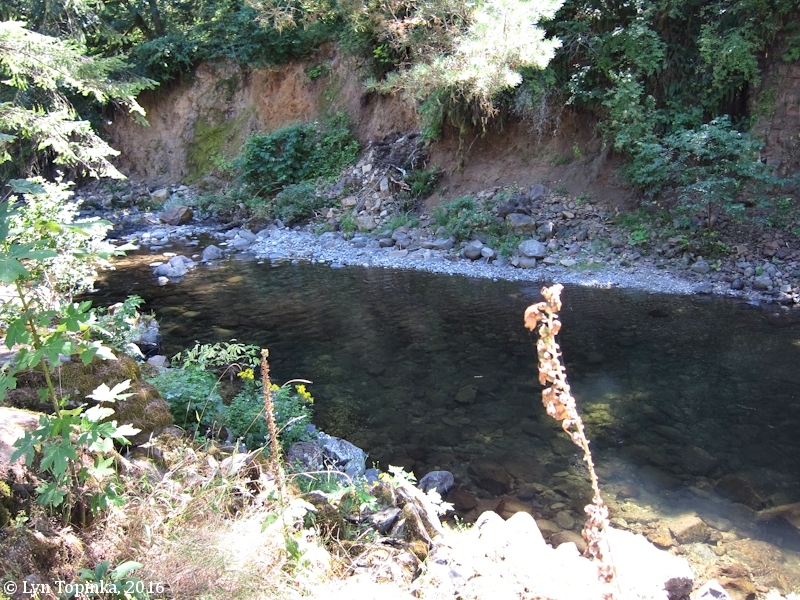 Click image to enlarge Washougal River from Washougal River Road, looking upstream. Image taken November 21, 2004. 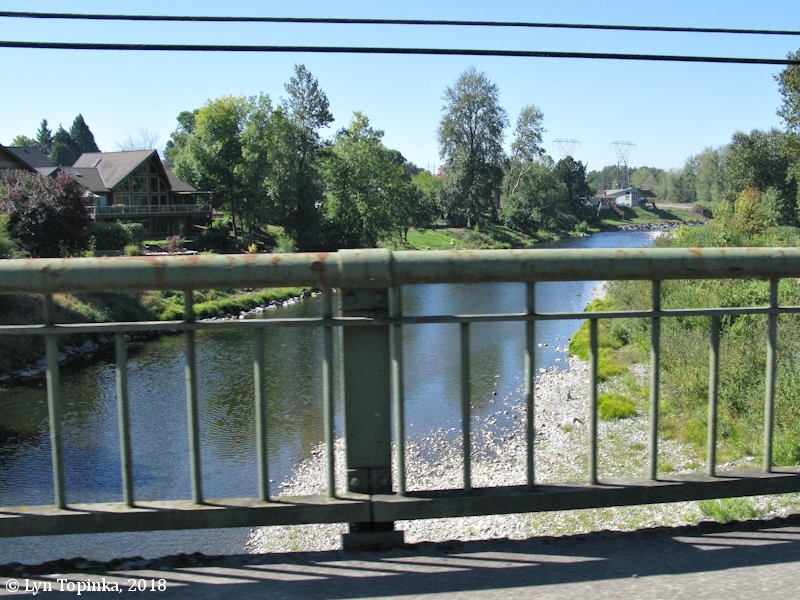 Click image to enlarge Washougal River from Washougal River Road bridge, looking downstream. Image taken November 21, 2004. Click image to enlarge Washougal River at Washougal River Road, Washougal, Washington. View downstream. 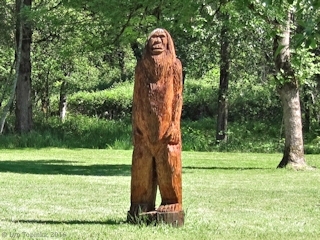 Image taken September 26, 2018. Click image to enlarge Washougal River at Hathaway Park, looking upstream, Washougal, Washington. Image taken September 8, 2016. Click image to enlarge Washougal River as seen from Hathaway Park, looking downstream. Image taken January 25, 2012. Click image to enlarge Washougal River as seen from Hathaway Park, looking upstream. Image taken January 25, 2012. 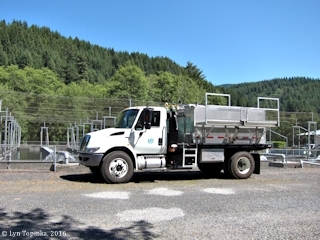 According to the Clark County Shoreline Inventory & Characterization Report (Washington Department of Ecology, 2010), the Little Washougal River basin covers 24.5 square miles with headwaters originating in the forested foothills of the Cascade Range. 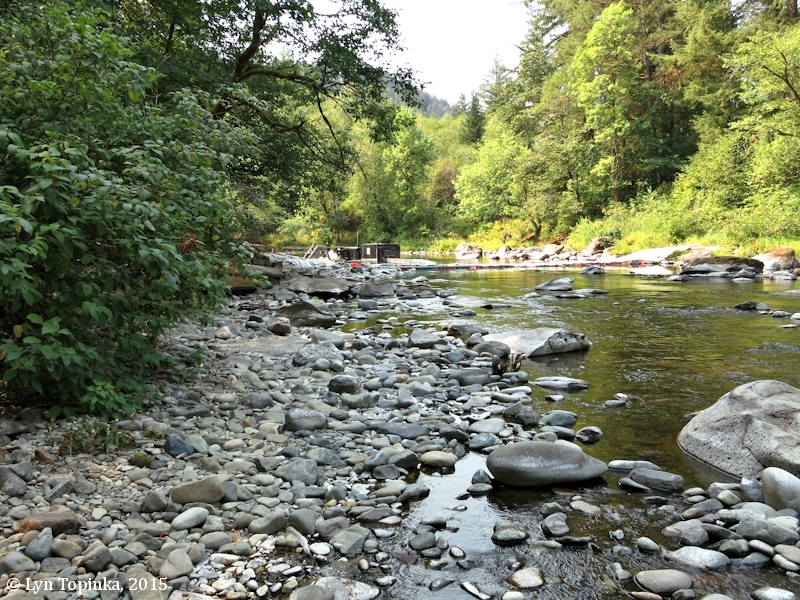 The river flows for 10 miles over moderately steep terrain and enters the mainstem Washougal River at RM 5.6. Major tributaries are the East Fork Little Washougal and Boulder Creek. 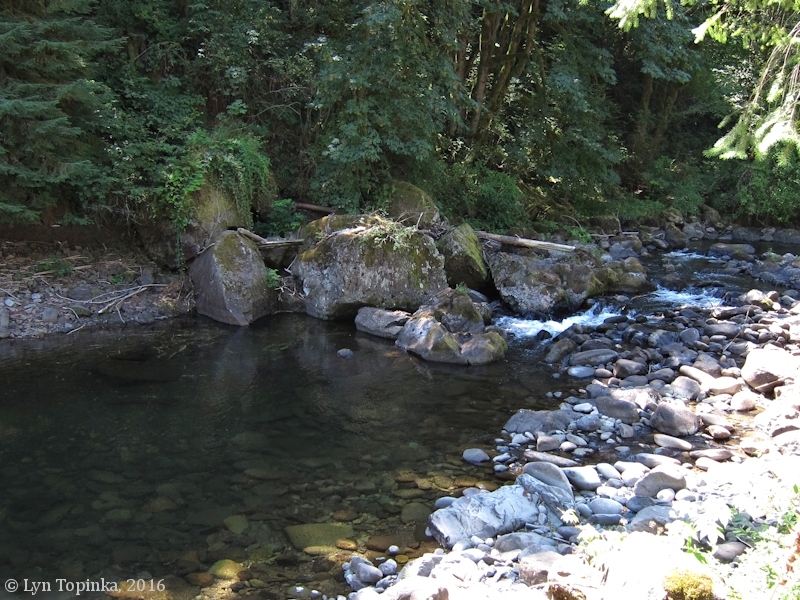 Click image to enlarge Little Washougal River, looking downstream, Washougal, Washington. Image taken September 8, 2016. 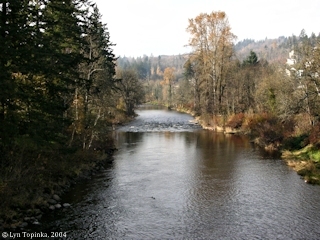 Click image to enlarge Washougal River, view downstream, as seen from Public Fishing location. 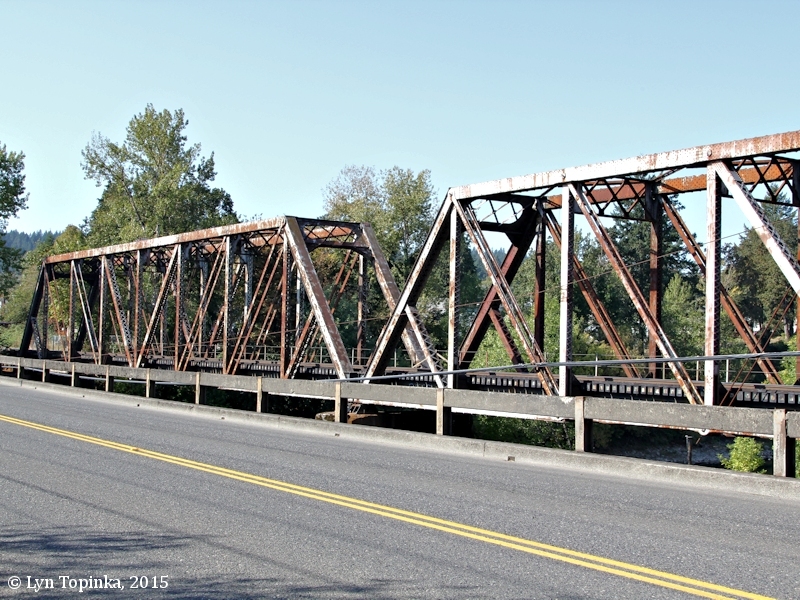 Image taken August 26, 2015. Click image to enlarge Washougal River, view upstream, as seen from Public Fishing location. 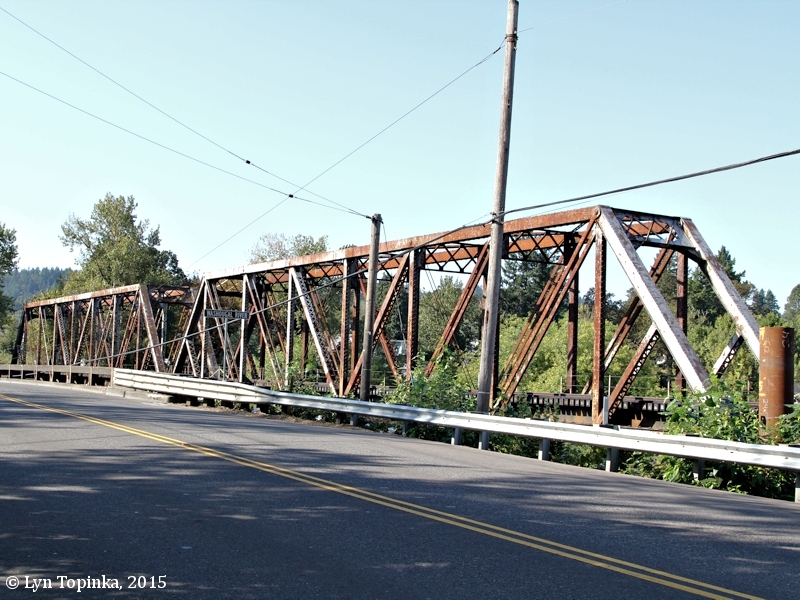 Image taken August 26, 2015. "In January 2001, the Salmon Recovery Funding Board (SRFB) awared Washington Trout funding for the Schoolhouse Creek Restoration Project, to re-establish natural processes on a tributary to Southwest Washington's Washougal River. 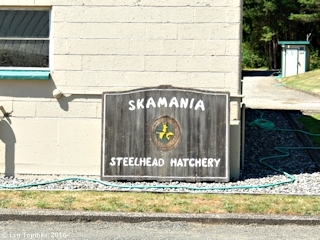 Washington Trout has been working closely with the Clark-Skamania Flyfishers and the Camas-Washougal Wildlife League to develop the project, which will restore historical access to, enhance, and protect 23.6 acres of Schoolhouse Creek, a spring fed wetland-complex tributary to the Washougal River. 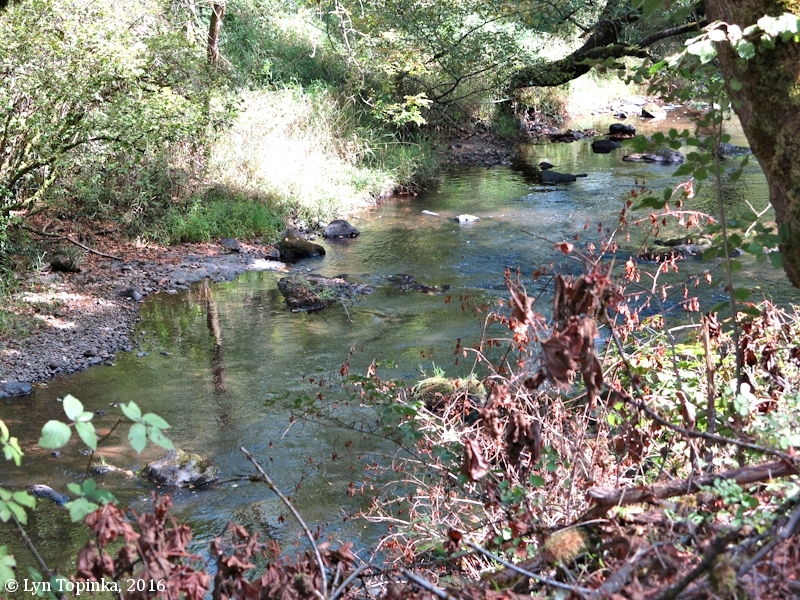 The Schoolhouse Creek watershed is the only remaining large, high quality wetland-tributary ecosystem left in the anadromous reach of the main stem Washougal River. 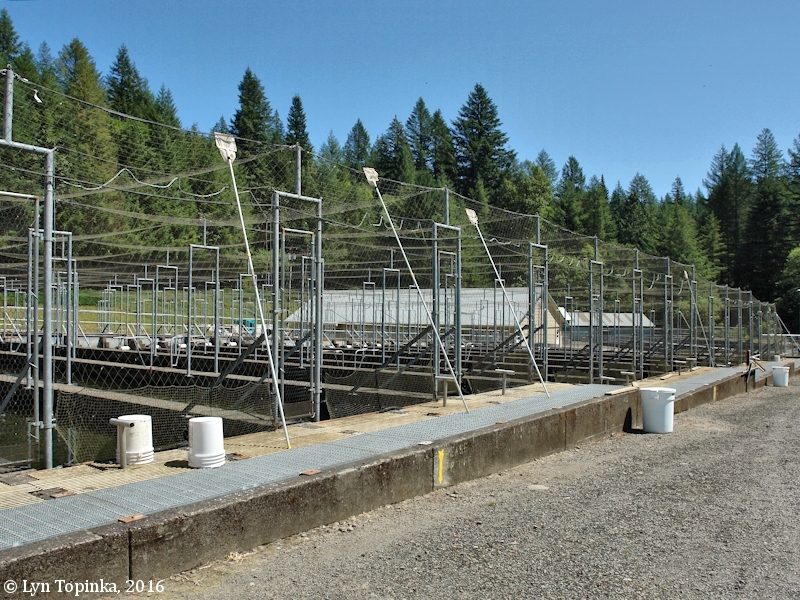 The restored wetland complex will provide critical off-channel spawning, rearing and over-wintering habitat, and summer high water-temperature refuge, for coho, resident and sea-run cutthroat trout, and ESA-listed steelhead. 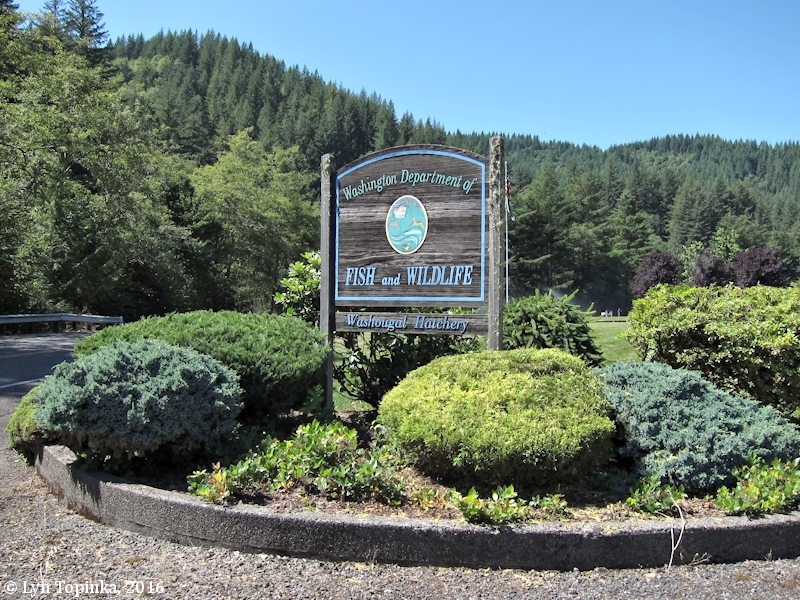 WT will enhance the existing spring-fed wetland by installing Large Woody Debris and planting riparian vegetation, and recover rearing and spawning habitat by restoring and reconnecting some ditched tributaries, and re-watering ponds connected to the existing wetland-complex. 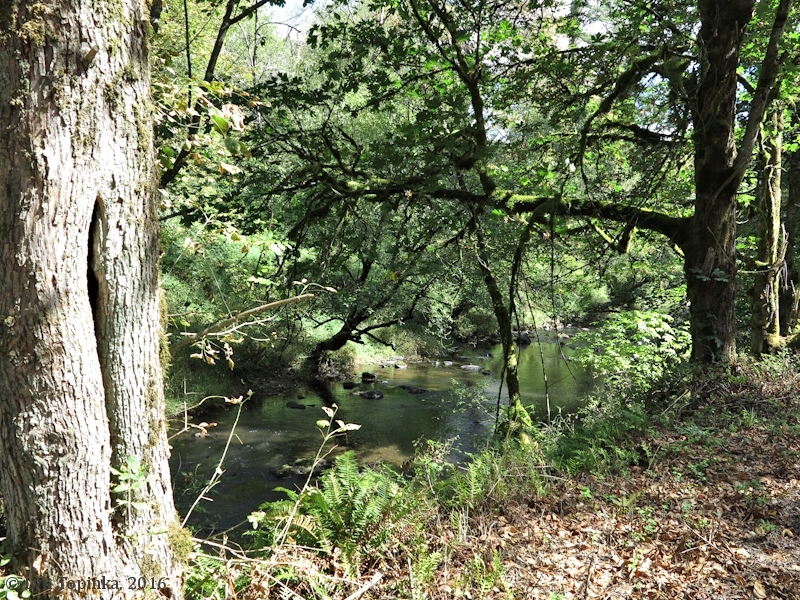 Project funding includes acquisition money to buy the project site, ensuring the permanent protection and maintenance of these critical habitats." Source: Wild Fish Conservancy Northwest website, 2015. 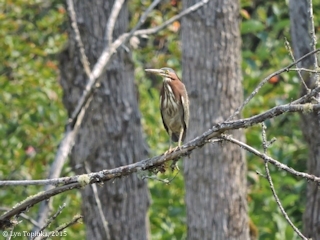 Click image to enlarge Green Heron at Schoolhouse Creek Pond, Skamania County, Washington. 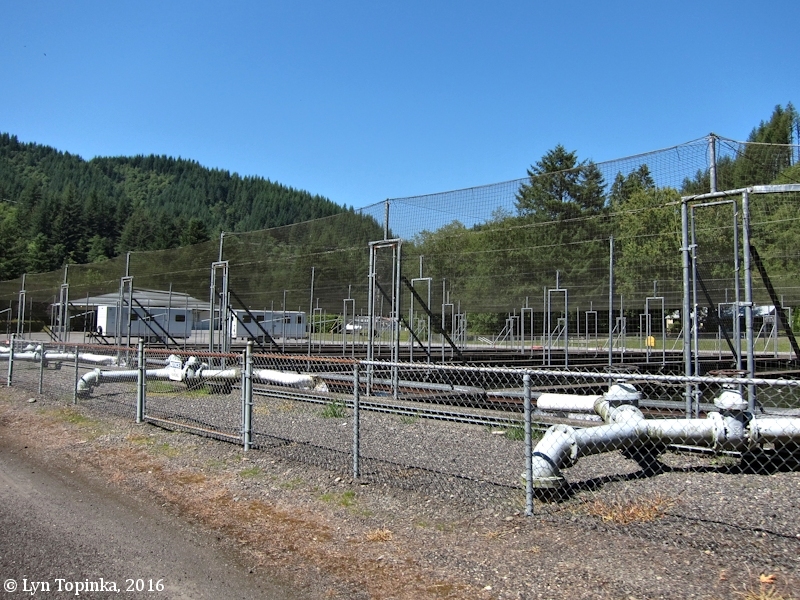 Image taken August 26, 2015. 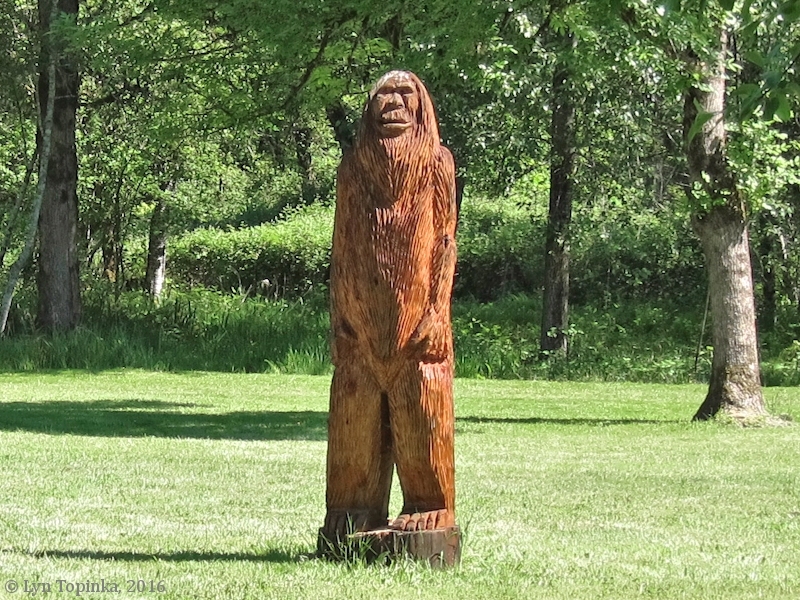 Two Sasquatch were spotted on the north side of Washougal River Road, less than 1/2 mile west of the Canyon Creek Bridge. 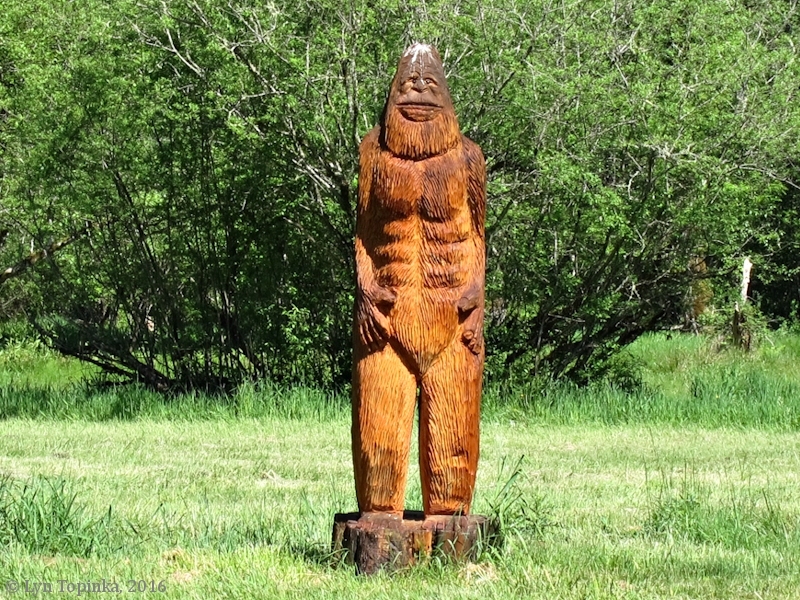 Click image to enlarge Sasquatch, Washougal River Road, Skamania County, Washington. Image taken May 7, 2016. Click image to enlarge Sasquatch No.2, Washougal River Road, Skamania County, Washington. Image taken May 7, 2016. 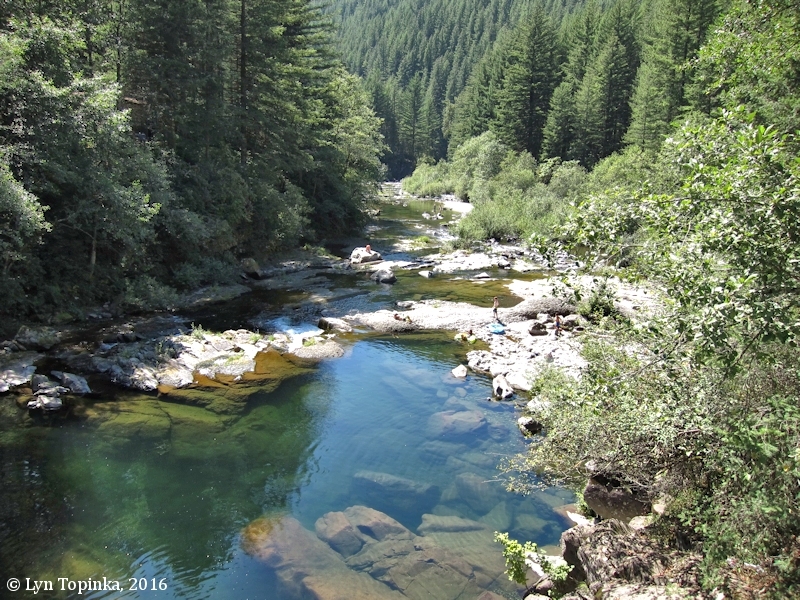 Canyon Creek heads behind Archer Mountain and flows southwest and then northwest to merge with the Washougal River at Washougal River Mile (RM) 13.5. The Washougal River Mercantile is on the northeast corner of the junction of the Washougal River Road and Canyon Creek Road, the Cape Horn-Skye Elementary School and Canyon Creek Middle School lie approximately 1/8 mile west, and Prindle Park lies at Canyon Creek Mile 0.8. Click image to enlarge Washougal River from Canyon Creek Road bridge, looking downstream. Image taken August 26, 2015. 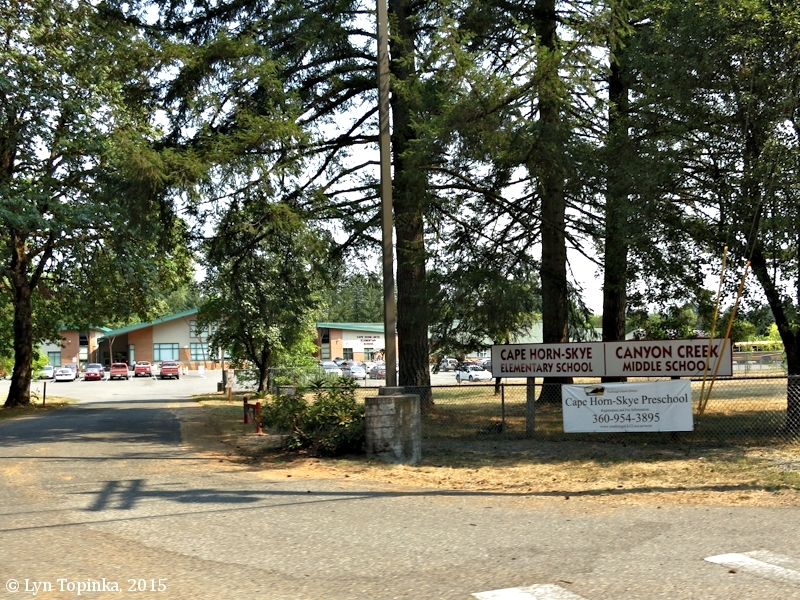 Click image to enlarge Cape Horn-Skye Elementary School and Canyon Creek Middle School. The schools lie approximately 1/8 mile west of the junction of Washougal River Road and Canyon Creek Road. Image taken August 26, 2015. 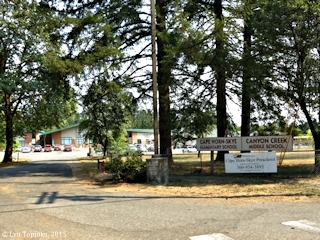 Click image to enlarge Cape Horn-Skye Elementary School and Canyon Creek Middle School. 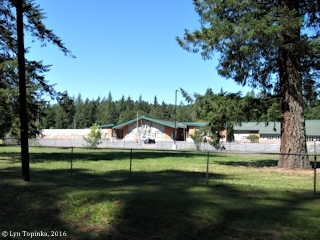 The schools lie approximately 1/8 mile west of the junction of Washougal River Road and Canyon Creek Road. Image taken August 3, 2016. 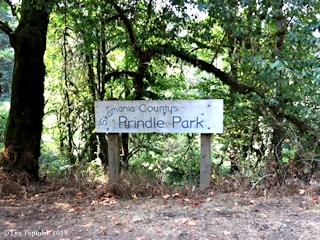 Click image to enlarge Sign, Prindle Park, Canyon Creek Road, Skamania County, Washington. Image taken August 26, 2015. Click image to enlarge Washougal River Mercantile, at the junction of Washougal River Road and Canyon Creek Road, Skamania County, Washington. 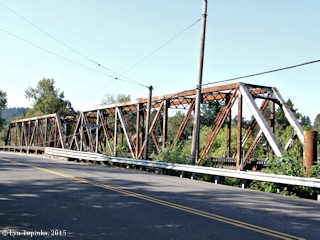 Image taken August 26, 2015. Often seen as "North Fork Washougal River", the U.S. Geological Survey's Geographic Names Information System (GNIS) lists this stream as "West Fork Washougal River". The name appears as "West Fork" on the 1911 Mount Hood U.S. Topographic Map. 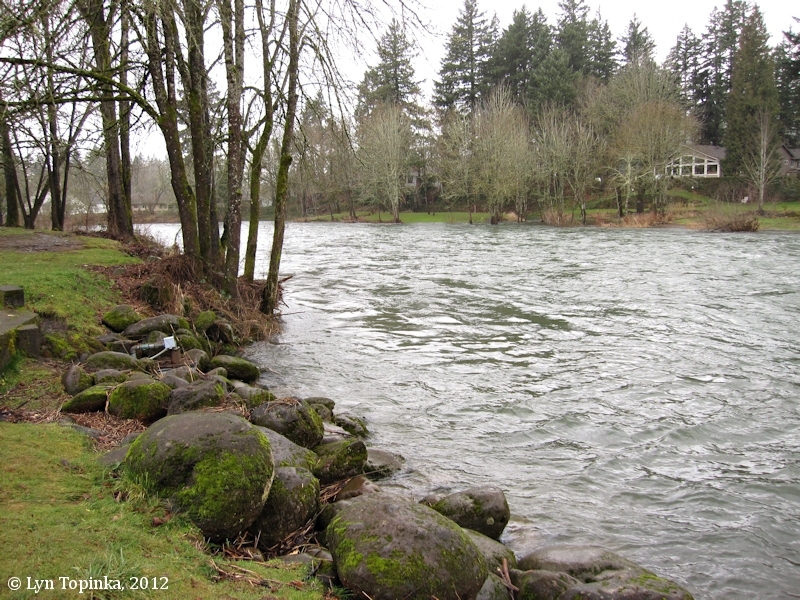 The West Fork Washougal River merges into the Washougal River at River Mile 14.5. 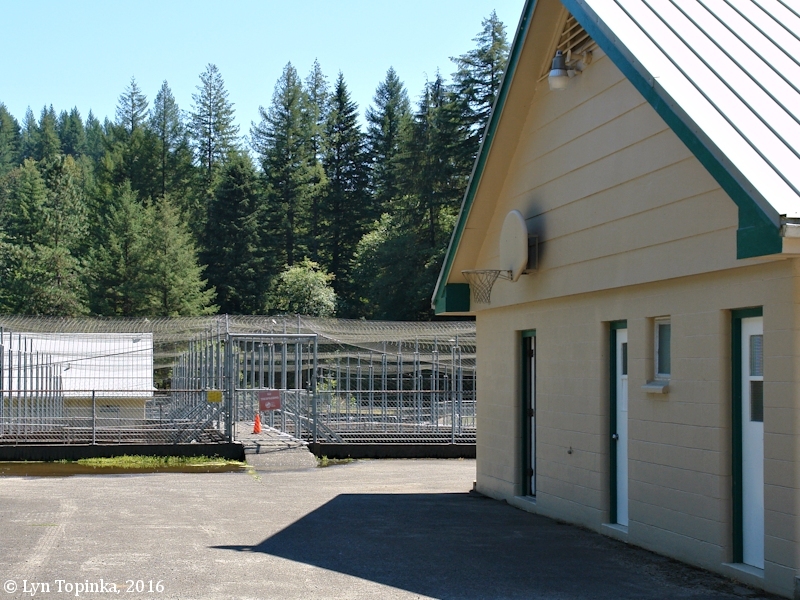 Click image to enlarge West Fork Washougal River at Skamania Hatchery. 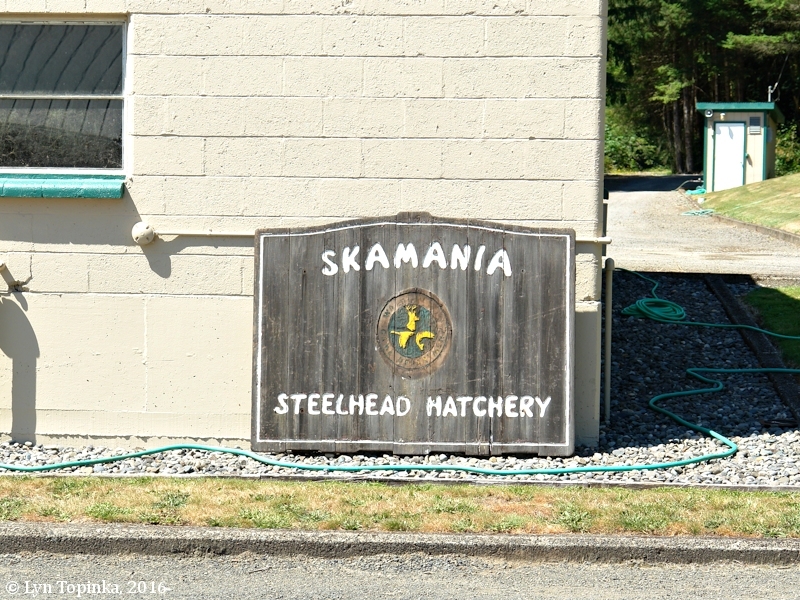 View from Skamania Hatchery. Image taken August 3, 2016. The Washington State Department of Fish and Wildlife's Washougal Hatchery was completed in 1958 for Coho. 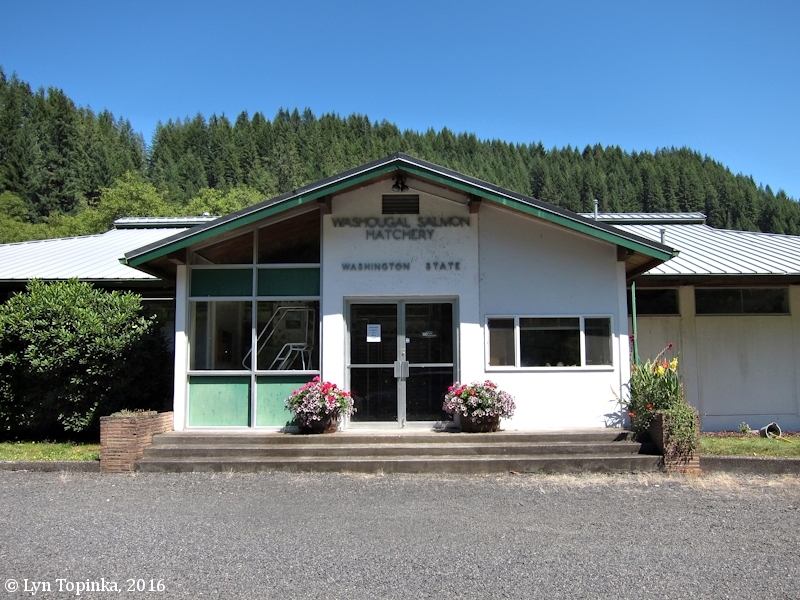 It is located on the mainstem Washougal River at River Mile (RM) 20. 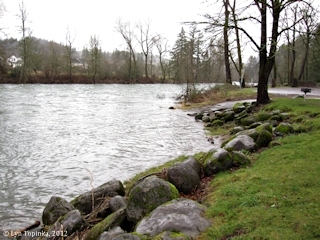 Click image to enlarge Washougal River at Washougal Hatchery, looking upstream. 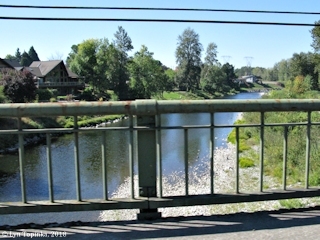 View from Washougal River Road bridge at the Washougal Hatchery. Image taken August 3, 2016. 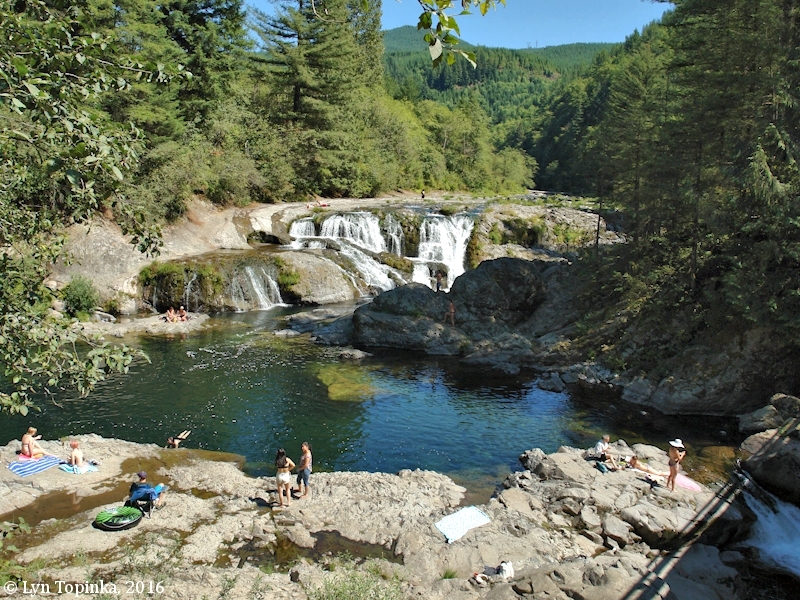 According to the "Northwest Waterfall Survey" database (2016), Dougan Falls is over 100 feet wide and drops 19 feet into a deep pool which is "ideal for swimming". 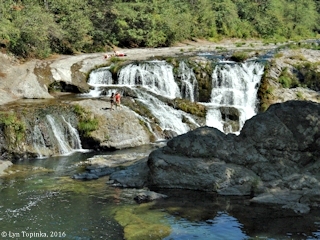 Click image to enlarge Washougal River at Dougan Falls, looking upstream. View from Washougal River Road bridge at Dougan Falls. Image taken August 3, 2016. Click image to enlarge Dougan Falls, Washougal River, Washington. 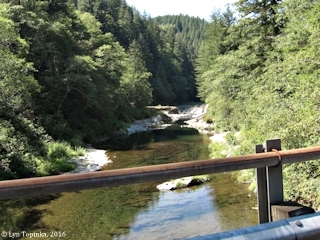 View from Washougal River Road bridge at Dougan Falls. Image taken August 3, 2016. Click image to enlarge Washougal River at Dougan Falls, looking downstream. 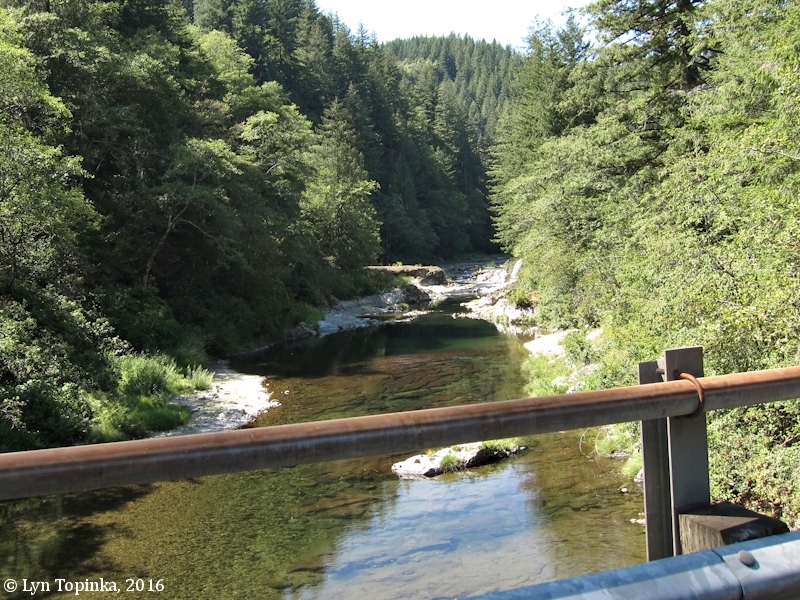 View from Washougal River Road bridge at Dougan Falls. Image taken August 3, 2016. 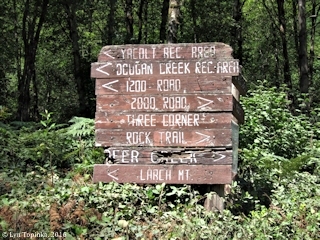 Click image to enlarge Recreation sign at Dougan Falls, Washougal River, Washington. Image taken August 3, 2016.